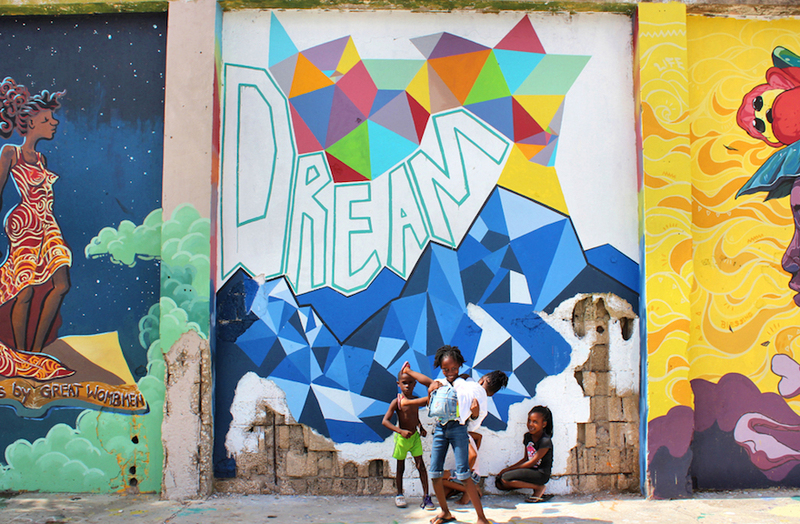 The Paint Jamaica initiative brings colour and creativity to the streets of Kingston. 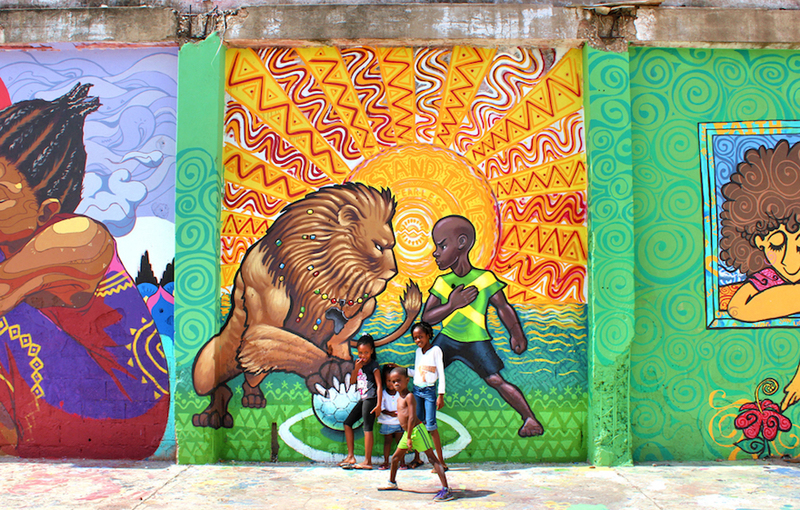 Founded in 2014, the Paint Jamaica initiative is a street mural project that started as a method of beautifying Kingston’s inner cities and engaging the people of the community. 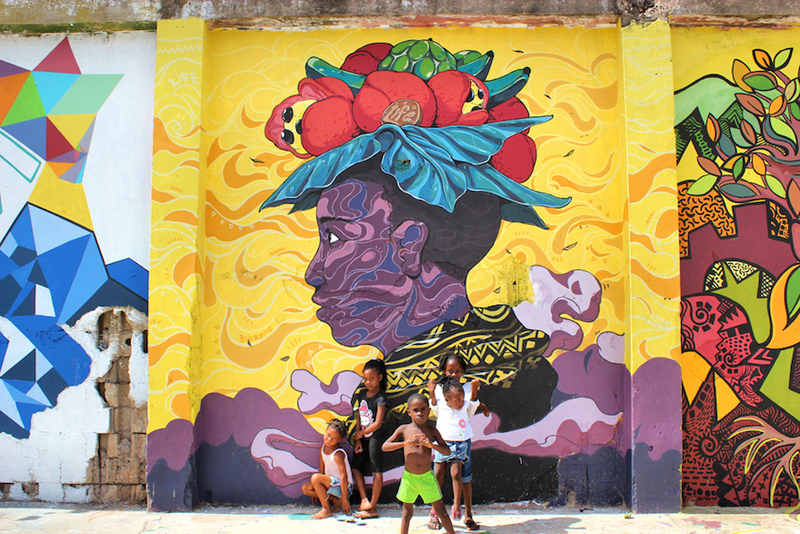 Beginning in the region of Parade Gardens, Paint Jamaica set a group of artists loose transforming the visual spaces of the area’s marginalised communities through creativity and art. 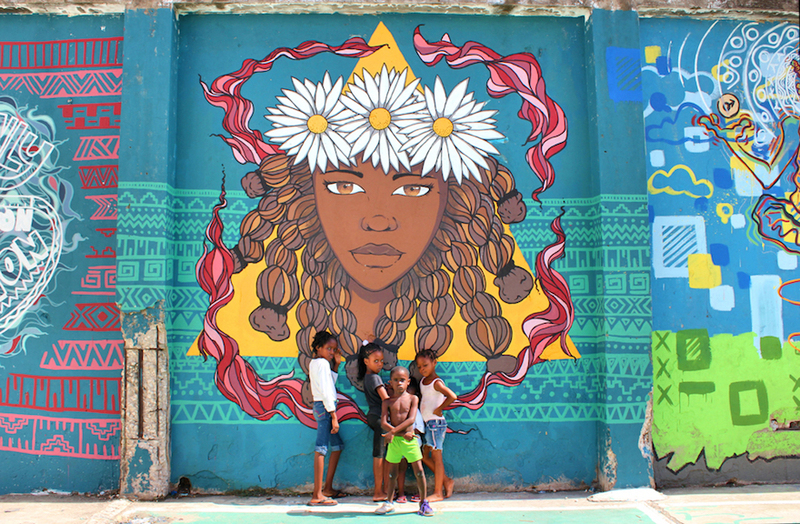 Lead by French expat Marianna Farag, the members of Paint Jamaica spent over a month communicating with the residents of Parade Gardens, determined to learn more about them in order to create murals that felt genuine and reflected stories from within the community. By engaging volunteers of varying backgrounds and from the area, Paint Jamaica was able to create a series of colourful and dynamic artworks which speak to Parade Gardens’ residents strength, resilience and their continued pursuit of betterment. For many of the artists involved, the project is – at its core – about changing the feelings that people have towards inner-city Kingston. While Paint Jamaica now has plans to expand their movement across the country, it has also given rise to Plant Jamaica, a programme that teaches local, inner-city residents how to successfully grow their own food for consumption. Led by former Paint Jamaica volunteer, Andrew Bruce, the initiative is focused on the possible creation of a sustainable farm and green space in the heart of Downtown Kingston. To learn more, visit the project's Facebook page here.